Not many bands can lay claim to the kind of dramatic career development that the Icelandic band Árstíðir can. Formed in the wake of the 2008 stock market crash, they found themselves catapulted to the top of the Icelandic music charts within six months of their debut, and then forged ahead with their 2010 tour despite a volcanic eruption that stalled global travel. In 2012, Árstíðir was the first Icelandic band to ever win the Eiserner Eversteiner European Folk Music Award (in Plauen, Germany) and were scheduled to play the prestigious TFF Rudolstadt festival in July 2013. While on tour in Germany that year, an impromptu performance of “Heyr himna smiður” in the Bürger Bahnhof train station in Wuppertal swept them up in a tidal wave of international attention. Hastily recorded by a friend who posted it to YouTube, the video received more than four million views and sparked global interest in both the band and the Thorkell Sigurbjörnsson’s composition. By May 2014, they had launched a Kickstarter campaign that quickly raised $70,000 (substantially exceeding the initial $20,000 goal) to finance their third album, Hvel (Spheres). In return for their investment, backers were promised not only a copy of the finished recording, but also gifts ranging from hand knit Icelandic sweaters to vials of volcanic ash from the Eyjafjallajökull eruption. The band members’ wide range of musical backgrounds and experience combined with professional interests ranging from law to literature and engineering to computers, make them unique in their wholly democratic approach to music making and performance. Entwining the elements of sound with lyrics describing heartbreak, longing, memory and a deep connection to the circular oneness of life, they marry organic acoustic traditions and modern electronic arrangements with intricate simplicity and unpretentious skill. Embarking on their first U.S. tour this summer, Árstíðir will take to the roads in a converted school bus as they cross the entire country between June and August with stops at big media outlets to spread the word such as PRI’s The World, Echoes Livingroom Concerts, Good Day Rochester TV show, NetNebraska, (a radio program that is simulcast on radio, PBS TV and the web). Lots of other stops at local radio along the way to spread the word as well. The band looks forward to performing their newest compositions and forming new intimate musical connections with both seasoned supporters and green listeners. With their sweeping vocal harmonies backed by lush layered orchestral instrumental arrangements, Árstíðir sings, “Not every thing you feel can be seen but the feeling lasts so long” and hopes that what the audience feels will linger long after the last note is played. Evolution Promotion Holiday Greetings and Tunes! Posted by admin on Dec 13, 2014 in Blog, Newsletter | Comments Off on Evolution Promotion Holiday Greetings and Tunes! Stonehearst Asylum, starring Michael Caine, Kate Beckinsdale, Ben Kingsley, and working on the music scores for esteemed filmmaker Louis Schwartzberg’s forthcoming shorts “Flowers” and “Forests”. In between all that, she is keeping up her Christmas tradition by playing a sold out show last night in London at Picadilly with the London Players, her string section. Helen will be releasing her fourth album in 2015 to be followed by a U.S. tour. Watch for date announcements right here! Download Helen’s “Have Yourself A Merry Little Christmas” for your seasonal playlist here. The symphonic/electronic music of the 4th Dimensional Beings draws from romantic and powerful atmospherics illustrated with piano and guitar melodies that are set to orchestral sounds with classical and progressive flavors. We are sure that you will hear The 4th Dimensional Beings influences — Debussy, Pink Floyd, Kraftwerk, Bach, Emerson Lake and Palmer, and Vivaldi. David and Joey Granati are 4th Dimensional Beings. Formerly signed to A&M Records, they released albums as the Granati Brothers and opened some 78 dates for Van Halen. These classically trained musician brothers have taken a side trip into the world of electronic ambience and infuse it with their own brand of rock meets classical. “Alien History”, coming your way in January 2015. CARisMA are Magdalena Kaltcheva and Carlo Corrieri , an Italian classical guitar duo whose extraordinary guitar techniques have merged to create a modern and innovative sound. The young and beautiful duo came together in 2011 after previous remarkable careers as soloists. World famous Italian tenor Andrea Bocelli was astonished by their masterful guitar skills and offered to produce their album, ‘Confessions’ , which was released in the U.S. on August 20, 2014. CARisMA has recorded a special Holiday tune available here. Two years ago, the duo had the opportunity to play in front of the world famous Italian tenor Andrea Bocelli who was astonished by their arrangements and performance and offered to produce their album, ‘Confessions’ , which just released in the U.S. on August 20, 2014 and features their exquisite guitars on film music by Rachel Portman (from the movie “Chocolat”) as well as a selection of Jazz and Classical standards. CARisMA made their appearance as the opening act for Andrea Bocelli at the popular iTunes Festival in London, which was streamed worldwide and was a huge success for the duo. The collaboration on stage with Andrea continued as the beloved Tenor took them on his 2012 tours around the world in places like Asia, UK, America, Ireland, Eastern Europe and South America. 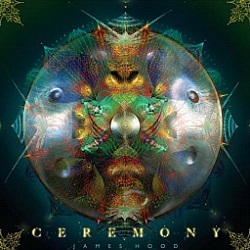 James Hood’s “Ceremony” is the #1 New Age Album and #1 World Album on the iTunes charts for a consecutive 3 weeks running. A musical pioneer, with a lengthy and varied musical resume that includes playing drums in The Pretenders, his ongoing two-decades-plus run as mastermind of the visionary ambient/electronica act ‘Moodswings’ and an expansive array of soundtrack projects. ‘Ceremony’ was recorded at the Integratron, the legendary Geodesic Dome in the mystical setting of Joshua Tree in California’s Mojave desert. Visit James Hood’s Facebook page. Over 12 years and 7 critically acclaimed albums, ambient pop-rock collective Blow Up Hollywood has created an expansive and adventurous body of work that manages to be both highly emotionally charged and majestically anonymous. 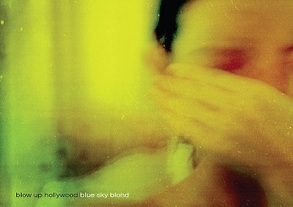 Blow Up Hollywood’s most direct and vulnerable album of their career, the stunning, Blue Sky Blond is on your desk and on the air. The New York collective is already back in the studio just days after finishing their tour where they played live on air at radio stops along the way.The band is planning more dates in September. a gauzy, translucent vibe on this atmospheric release. The album combines elements of modern electronic music and programming with traditional tools like piano and acoustic guitar as well as touches of Eastern sounds including the Saz (a Turkish 7-Stringed instrument with the intonation of a mandolin) and the sitar. Kim has released two full-length CDs over the past decade, Blue Alibi and Notorious Rainproof Smile. Love & Other Ephemera is a brilliant follow up and will be on your desk this June. 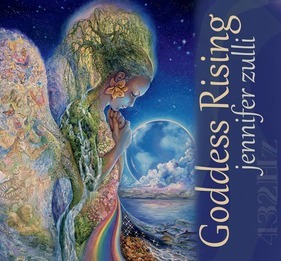 Jennifer Zulli, an explorer of sound and its effects on consciousness, has released an all encompassing & highly anticipated new work “Goddess Rising” which was recorded at 432hz- (the light frequency). Ancient mantras & tuning forks are interwoven within her New Age/Classical sounds and angelic voice to create a pathway to spirituality. An astounding follow up to 2012’s “Earth Lullaby”. Ludovico Einaudi is a welcome sound of stillness in a hectic world. Week after week, his hauntingly beautiful and evocative music has kept him among the best-selling and most requested recording artists around the globe. The seven tracks on this EP were taken from Ludovico’s current album “In A Time Lapse” and have been briliiantly rethought and remixed by promising young talent: Dot Major, Starkey, Steven Segal, Robert Lippok and Phaeleh along with a brilliant vocal track by Greta Svabo Bech. Over 12 years and 7 critically acclaimed albums, ambient pop-rock collective Blow Up Hollywood has created an expansive and adventurous body of work that manages to be both highly emotionally charged and majestically anonymous. They have put their distinct fingerprint on warped Americana, dark wave, post rock, noise, jazz, classical, freak folk, and any other music medium they felt like inhabiting. But when Messina’s personal life became painfully complex, he stepped out front and crafted the most direct and vulnerable album in Blow Up Hollywood’s career, the stunning, Blue Sky Blond. Blow Up Hollywood was founded in 2001 in response to the corporate music industry’s dominance of profits over artistry and the cultural homogenization that results. Restlessly creative, the band explored the musical equivalent of art house films and literary fiction with a chameleon-like tendency to authentically infiltrate a myriad of music idioms. The band’s debut was written during a freewheeling 3-week retreat with Messina and friends ensconced in a beach house in West Hampton, New York. The band went on to garner acclaim from indie tastemakers and a dedicated cult following quickly formed. Blow Up Hollywood’s most popular release, The Diaries of Private Henry Hill, was based on the journal entries of a young, deceased soldier from the Iraq war. The album won the group high praise and greatly expanded its profile, culminating with a feature on NPR’s All Things Considered, and landing their song WMD on the compilation CD, Body of War, alongside such artists as Neil young, Pearl Jam, Roger Waters, and Bob Dylan. Blow Up Hollywood is helmed by Steve Messina, and backed by talented friends and collaborators: Thad Debrock, electric guitar, pedal steel, keyboards; Teddy Kumpel, electric guitar; Steve Bonacio, bass; Dave Diamond, drums; Harvey Jones, piano, keyboards; Nadia Ackerman, vocals; and Anthea White, vocals. In support of their new album, Blow Up Hollywood are finally putting themselves in front of their audience with the national U.S. Tour that begins this month in New York. But We’re Just In Time For Your Holiday Playlists! We do realize that it’s not even Thanksgiving but we wanted to make sure that you all had a chance to get hold of our artist’s Christmas songs early. This will give you plenty of time to review them and get them into rotation on your Christmas playlists. We will be servicing all of these wonderful artist’s Christmas songs to you digitally only so please watch for a separate email to follow that will make each of these tracks downloadable through Hightail! No CDs this year! Digital delivery only coming via Hightail directly following this email! It’s an understatement to say that Helen Jane Long is prolific; she has been on a non-stop writing/recording/releasing/ touring trip for the past 5 years with three albums released under her own BLE Record Label. In between all of this, she has managed to get her music placed in 8 films, 10 commercials and build an incredible and loyal fanbase around the world. Helen took time out to record and deliver a sweet and melancholy version of “Have Yourself A Merry Little Christmas” on solo piano. It’s already a favorite here and it’s available at iTunes now. Watch for the digital delivery of the WAV and MP3 files following this newsletter. Jennifer Zulli is the founder and director of SOUND, a center for creative arts based in Newtown, CT. She is a new age artist & composer, sound/resonance healer, teacher and an explorer of sound and it’s effects on consciousness evolution. Her two latest releases, “Earth Lullaby” and “Opening” have been embraced by all of you at radio worldwide. Her new album will be on your desk in January 2014. After Jennifer witnessed the horrible events at the Newtown Elementary School last year, she was inspired to gather those young, traumatized school children and make a little recording with them at her home studio. A wonderful and inspirational original song was the result. Wall Matthews has just released a digital only Christmas EP, Star Of Wonder, featuring music he recorded live for Echoes last year, as well as three new studio tracks. The reflective side of the Holiday Season is set in a contemporary chamber music format, features acoustic guitar, cello, violin, piano, and mandolin. The new tracks come from Dancing Egg Music, an original music licensing and scoring company, that Wall recently created with the talented composer and multi-instrumentalist, Kevin Packard. Jim Stallings is Elevation 120. His writing covers a wide range of styles and genre’s, from his work for two seasons with the Grammy Award Wining Atlanta Symphony Orchestra and his commissions from The American Composers Forum, Furman University, The Coweta County School System’s Centre for the Visual and Performing Arts, and The Georgia Music Teacher’s Association, to his own award winning electronic works, The Sounds of Scouting and Mystings. Jim’s recent incarnation is Elevation 120, a collective of musicians and vocalists performing his original works. We think you’ll agree that his version of Silent Night is peerless. Don’t forget to watch for our digital delivery of these tracks, both in wav and mp3 format, coming to you via Hightail, directly following this newsletter. Please add these tracks to your Holiday programming! And, let us know if you are interested in scheduling interviews with any of these artists or others that we represent. For all of us here, we want to thank you for a great year and wish you the best Holiday Season ever! 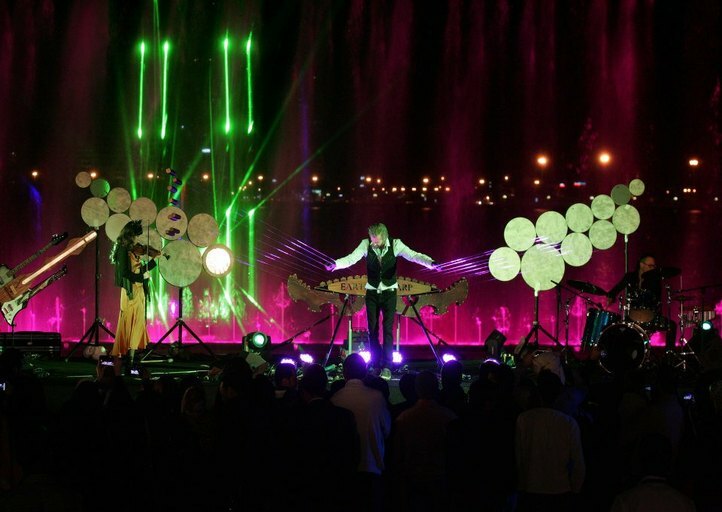 William Close is an installation artist and musician who has developed over 100 new types of musical instruments. 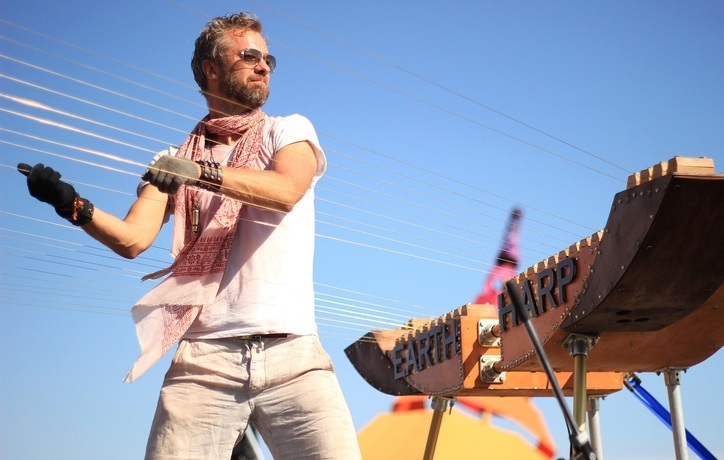 He is the inventor of the majestic Earth Harp, the world’s largest stringed instrument. Other instruments designed by Close include The Drum Orb, The Percussion Jacket, The Aquatar and the Wing Harp. Close’s work explores the connection between architecture and music. Inspired by the Frank Lloyd Wright quote “architecture is frozen music”, Close creates musical installations that use the architecture as part of the instrument. He has developed two “Symphonic Houses”, working with architects to build the musical instruments into the architecture, turning the houses themselves into musical instruments. William’s talent for a multidisciplinary approach to sculpture, music and installation art has blossomed into a new genre of music making designs. Last year, William and the Earth Harp Collective –a team of extremely talented musicians, dancers, aerialists and artists–further pushed the boundaries of the performance experience when they finished third on NBC’s hit talent competition “America’s Got Talent.” The group received massive praise and admiration from fans and all three judges, and were the only act to receive a standing ovation for every performance. William Close and The Earth Harp Collective’s much anticipated album, “Behind The Veil” was released today. 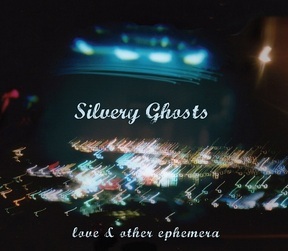 This album reflects the heart of EHC’s sound. Lush rock/classical fusions, inspired original tracks and fresh interpretations of beloved mash ups such as Pachelbel’s Canon and U2’s ‘With Or Without You’. Each of the 10 tracks have the Earth Harp at the heart of their sound. “Behind The Veil” was a collaboration of many creative visionaries. WILLIAM worked with producers Thomas Hjorth and Laura Vall of The Controversy, David Block of The Human Experience and special guest producer DJ Kraddy. Vocalists featured on the album include Rafe Pearlman, Onyay Pheori and Laura Vall. 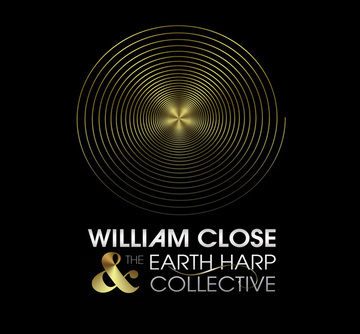 The Earth Harp was recorded in WILLIAM‘s Malibu, CA home studio where he had it strung from inside his glass studio and attached to the side of a mountain. Live in Boulder on Dec.18 Tickets on Sale Now! William designs stage shows that push the envelope of the musical experience. His installations and performances have been experienced and adored by audiences around the world. Some of his past festival performances include Coachella, Bumbershoot, Lollapalooza, Burning Man, Utah Arts Fest, Lightening in a Bottle, Envision Festival, Rolling Rock Town Fair, Cherry Creek Arts Fest, Notte Bianca Festival, Main Street Arts Festival and many more. Don’t miss William’s holiday show in Boulder. Tickets are on sale now here. You’ve heard the music of Pete Calandra hundreds of times on both network and cable television all over the world. Pete is a New York City-based composer and keyboard player. He has scored over 40 films and has written some 2000 compositions for television broadcast including 37 theme packages for shows on Fox Sports Net, ESPN, Bravo, Discovery, ABC, Comcast Sports Net, Madison Square Garden Network, SNY and The Big Ten Network. toured the U.S. with Les Miserables, and performed in the Broadway production of Phantom Of The Opera. Pete is currently playing keys on Broadway in The Lion King production. With such a distinguished career, it’s lucky for us that Pete has found the time to release three albums of his original music. His latest album, “Ashokan Memories” is an exemplary solo piano album that resides in the ambient jazz realm and has some transcendant moments. The title track is practically transportation to a seaside retreat. It’s a quiet album for a loud world and an excellent listen on a hot and lazy summer day. It’s on your desk and available for airplay now. Ludovico Einaudi has quietly become one of the most successful musicians in the world today. His hauntingly beautiful and evocative music tops the charts all over the world. He has even achieved a Top 40 pop hit in the UK. Quite a feat for a classical artist. 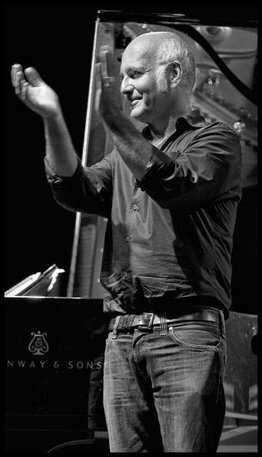 Einaudi has provided music for more than 20 films, 36 commercials and 42 tv shows. He is on a perpetual tour of the world, has over 300,000 Facebook fans and over 60,000 people cover his music on Youtube. 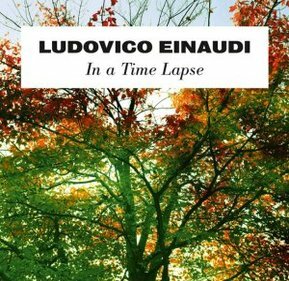 Einaudi’s new album, ‘In A Time Lapse’ was recorded in a monastery near Verona, Italy. The 14 pieces that comprise the album are individual chapters that combine to dazzling effect as reflections of Einaudi’s concept of time. The album features Ludovico’s band, the string orchestra I Virtuosi Italiani and guest violinist Daniel Hope. During the first week of release, the album debuted at the #1 spot on the iTunes classical charts in 18 countries including the USA. 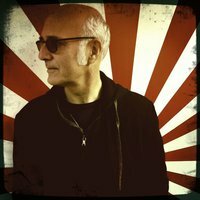 Einaudi’s chart success continues with two further record-breaking achievements; 9 out of the top 10 classical singles on iTunes belong to him and he also has the highest ever chart position for a classical album in the Official Album Downloads Top 40 at #11. 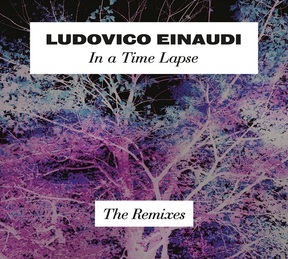 Ludovico and his Ensemble, a 10 piece powerhouse dripping with piano, electronics and strings, will take the stage to perform the repertoire from the new release “In A Time Lapse”. Tickets are already on sale for most shows.